Do you play a string instrument? Then you will know how important it is for these instruments to be tuned correctly. 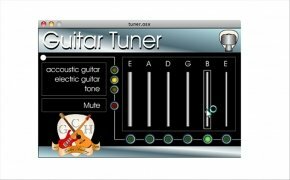 Free Guitar Tuner is a string instrument tuning application for Mac with which you will be able to check if the strings of your instrument sound correctly. Tune the strings of guitars, basses and other instruments. Compare the sounds of the software with those of your instrument. Includes sounds for acoustic guitars, electrical guitars and synthesizer tones. To use Free Guitar Tuner the only thing that you have to do is 'click' on one of the lines of the interface, which represent the notes following the British notation system. 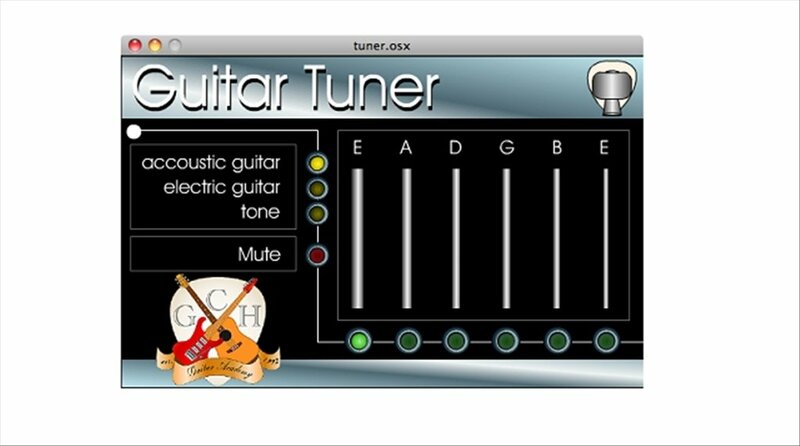 As well as tuning instruments, with Free Guitar Tuner you will be able to train your hearing capability. The key is to play the correct tone with the program and trying to emulate it with the instrument, which becomes a perfect hearing training. Download Free Guitar Tuner for Mac and adjust the correct tones for your musical instrument. Only runs on Power PC systems.